Pretty Preset has been a sponsor of my blog for years, and they also make the only Lightroom presets I use besides my own. I really love them and use them all of the time on my own images. You can imagine my excitement when they sent me their newest preset set “Illuminate”. I always get to play with all of their presets and I couldn’t wait to try this new set out and review it here on my blog. I love rainbows, lens flair, and sun glows and make and use them all of the time in Photoshop/PSE, but I had no idea you can add them to your images in Lightroom with a one-click preset or brush! I have been playing with the presets this morning and WOW. Not only do they look amazing on high resolution professional images, they also look incredible on my phone snapshots. 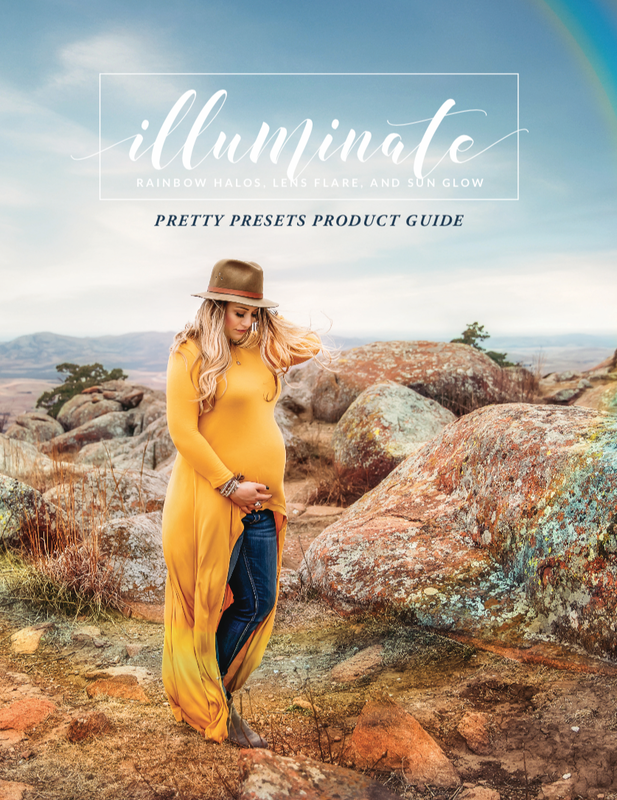 The Pretty Presets “Illuminate” set contains brushes and presets and includes a very detailed .pdf with full instructions on installing and using the set in Lightroom. Even the instruction manual is stunning and so very useful! And you can also customize these presets and brushes for your own images with just a few clicks. Aren’t these edits stunning? I especially love the compound halo and sun ray example on this image. I used the Sunrays preset on my iPhone snapshot and I LOVE it! These presets aren’t only for professional shots. This is another iPhone snapshot of mine. I love the diffused colors of this halo. So pretty, right? Isn’t this golden light beautiful! I love that you can click on the sun glow and edit its placement, size, color, and intensity. 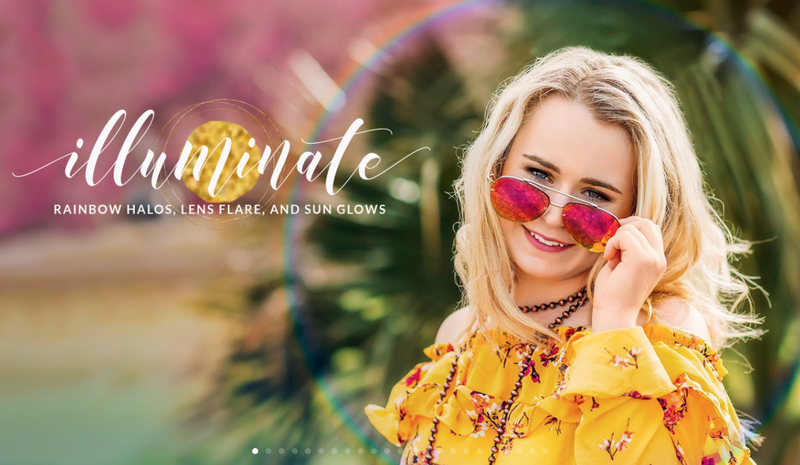 I really love this Pretty Presets “Illuminate” set, please check it out and let me know what you think about it! And if you are a Lightroom lover like me, be sure to grab Pretty Presets “Illuminate” while is is on sale for only $39 (regular price $59).